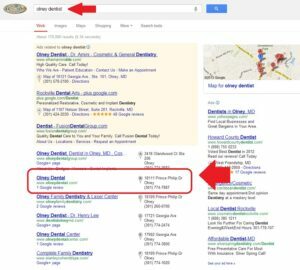 We are very happy to have been given the opportunity to work with another dentist in Montgomery County. Our Google Local SEO package includes a variety of seo techniques that help the client rank towards the top of Google’s local search results. Using Google Local SEO we are able to increase the rankings of your current or new Google places listing.